The Invisible Dr Mabuse: 1962. 76 x 100cms (c.30 x 40 inches). Mark on top right corner. Folds. Category: Film Posters. 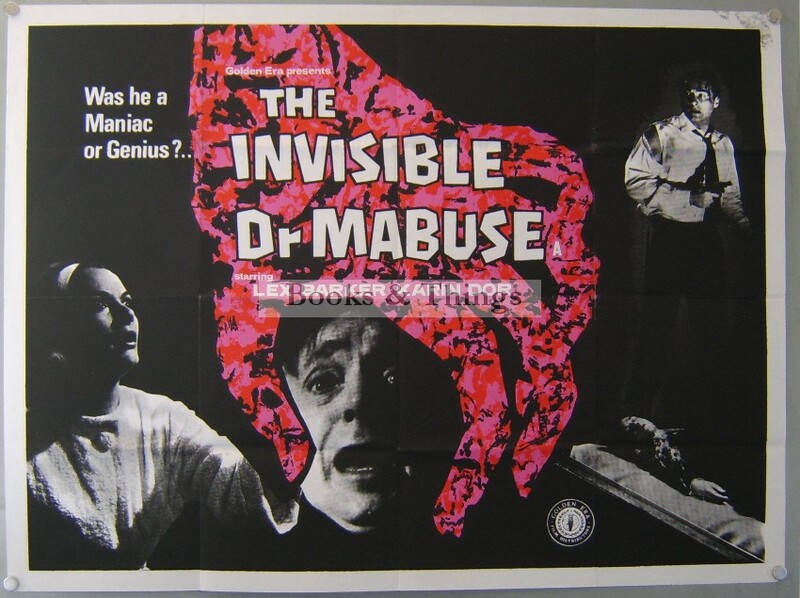 Tag: The Invisible Dr Mabuse poster.